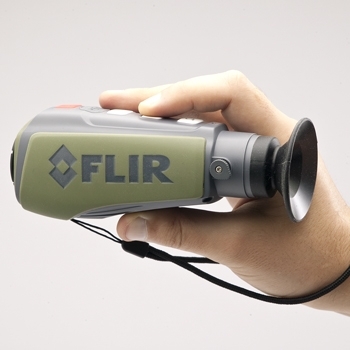 Handheld thermal imaging that would be a perfect addition for any Outdoorsman. 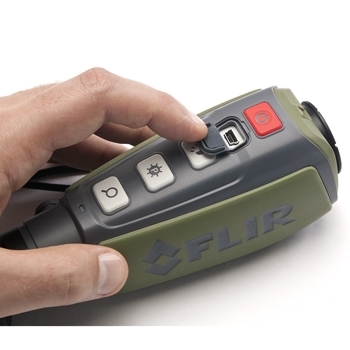 Flir’s Scout II 320 gives you amazing detail in the darkest of night or brightest of day. Unlike other camera’s, the Scout provides images from heat not light giving you a major advantage in the wild. The Scout II 320 offers a couple of features that the Scout II 240 doesn’t; like 2x Zoom and also a better resolution allowing you to see items up to 550 yards farther than the Scout II 240 when using the zoom feature. The Scout II 320 gives you excellent image detail in a variety of environments including light fog, smoke, and trail dust. You can check things out that go boom in the night and also to look out for predators that may endanger your livestock. With the InstAlert view, you can see the hotspots on animals and also pick up a human sized object at up to 900 yards when you use the 2X Zoom. The 3 button simplified operation of the Scout II 320 makes it an ideal choice for all outdoorsmen, hunters, and search and rescue teams. Don’t forget your Scout PS32 on your next outing; it could be the game changer. Want to see first hand what a FLIR Scout can do? Click here, to see the Scout simulator. 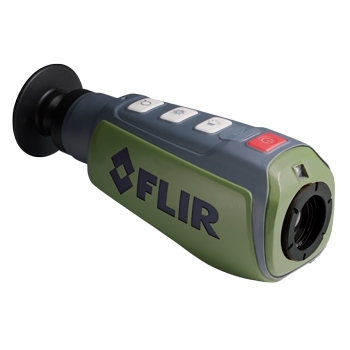 Each FLIR Scout II 320 comes with: Scout II 320 camera, Rechargeable battery, USB cable and a 2-Year Warranty. Can detect a human sized object up to 500 yards. 2X digital zoom along with an amazing 320X240 resolution. Rechargeable battery allowing you to get up to 5 hours of performance out of a single charge. Weighing in at only 12 ounces you won’t have to worry about any arm fatigue while scanning the horizon for game. Optional white hot, black hot, or InstAlert views so that you benefit from being able to view from 3 different perspectives.